We created amazing bar and bumper plate packages to meet the budget and needs of any lifter, no matter what strength level! Choose your bumper set and choose your barbell, we'll throw in a pair of collars. Have questions or want to customize your package? Call us at 512-201-4404 and we will get your order shipped to you within 24 hours! Bumper Plates are extremely durable and will last for years in a garage or affiliate. Bottom line: These barbells and bumper plates are an unbeatable combination. Completely customizable! Shoot us an email or phone call to get a different combination! Seasoned athlete or affiliate owner, you may want to consider the Bomba Bar V2 or even the Fringe Sport Weightlifting Bars. The Bomba Bar is the best value American-made all-around training barbell you can get. 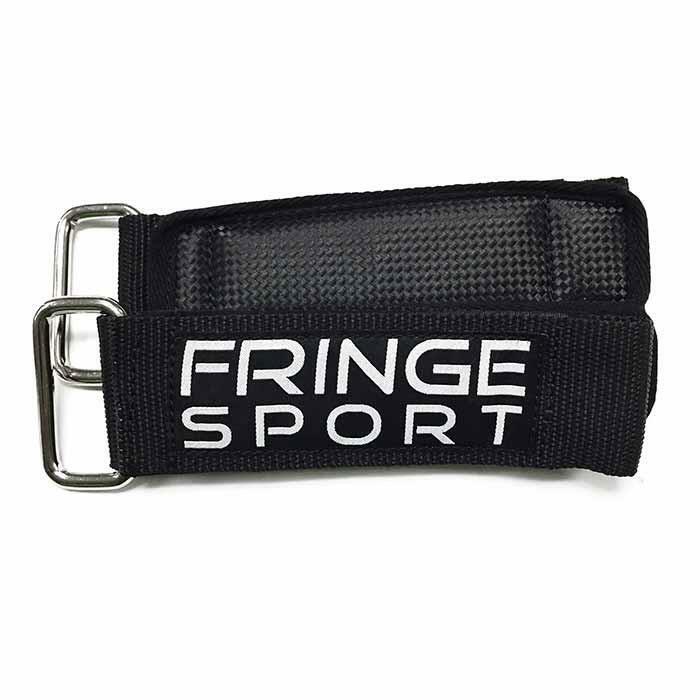 Our FringeSport Weightlifting Bars are the premiere training barbells for aspiring Olympians. The Wonder Bar, Bomba Bar V2, and Fringe Sport Weightlifting Bars all come in a 20kg for men and 15kg for women. Women's hands tend to be smaller than a mans, so the "women's" bar features a 25mm shaft diameter vs. the "men's" 20kg and 28-32mm shaft. Olympic Weightlifting Barbell by Fringe Sport (Bearing): The Fringe Sport Olympic Weightlifting Barbell is purpose-built to deliver you a high end Olympic Weightlifting bar that is designed for competition but priced for training. Knurl: Moderate depth knurl with single knurl marks (€œrings€?) to IWF specifications. Passive center knurl. 10/25/45/45 - 250lbs: Who needs the 35 pounder? We threw that out in favor of another 45, to give you 20 more pounds to work with in this set. Because it still has the smaller weights, this is a great option for pretty much anybody that wants to work their way up to some heavy weights. 10/15/25/45/45/45 - 370lbs: This 370 pound set of OneFitWonder bumper plates ensures that all your bases are covered, for 1 or two people. Whether you are a novice lifter or throwing around some real weight, this set has the weights you need. Need to go heavier? You can either add iron in or contact us for a custom quote on a larger package. Black Bumper Plate Set: We included our premium black bumper plates. Use the 10s to help with technique to start, and then as you get stronger you can move up to the 15's, 25s, 35's, and 45s (depending on your set) and really start pounding the ground with those weights. Our bumper plates are so durable our 10lb plates can survive being thrown off the roof and they still don't taco! "Good solid bumpers and bar...low bounce." "Good WOD bar and solid bumper plates"
"A perfectly solid startup kit"
See more of what our customers are saying about their barbell and plate packages in the reviews below.